The light! 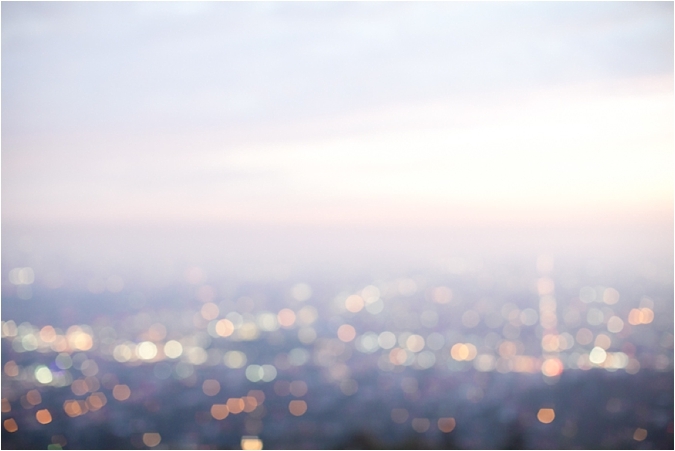 We just love the light cascading through every one of these images from Eyelet Images. 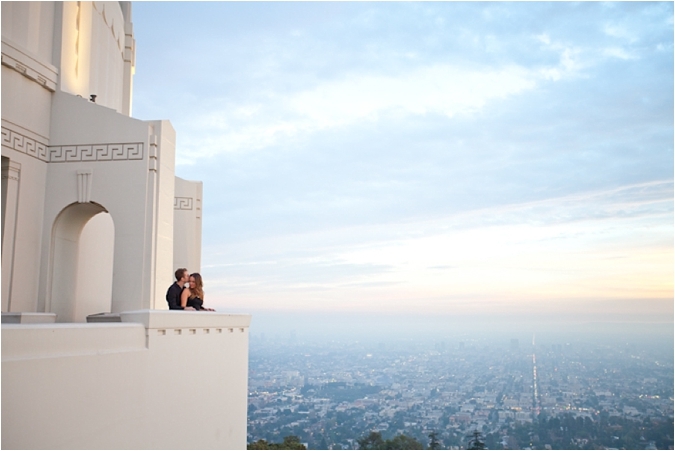 From the playful LACMA lamp posts to the more formal and romantic Griffith Observatory, this couple made magic happen in front of the lens. 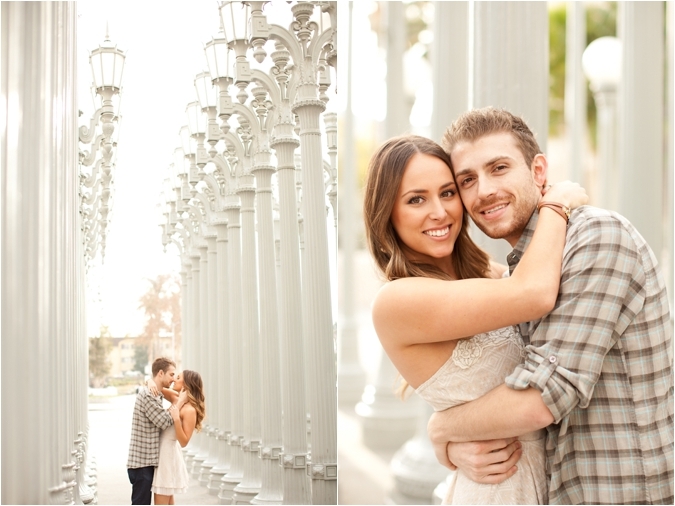 We cannot wait to see their wedding and all its beauty! Their love story: We first met in high school. He was a senior and I was a freshman. He saw me the first day of school and claims "it was love at first sight." He asked a friend of mine for my IM screen name! We used to chat online, but never actually hung out. (He claims I always said I didn't have a ride and couldn't meet up, but really I was just too scared lol). I always had a little crush since he was a senior and talking to me...a measly freshman! Now, fast forward 6 years. We had not seen or talked since my freshman year. I was now doing choreography for my high school's dance/drill and didn't realize I had been teaching his younger sister, Ali for two years! Ali was about to graduate high school, so I stayed after practice one day and chatted with her and her parents about her plans for college. As we got to talking, I realized I knew a "Volen!" I asked if they knew Adam Volen and of course they all said yes! I told them about our Instant Message conversations back in the day, and how I had a school girl crush on him. They went home and asked Adam if he knew me, and to their surprise he told them "remember that girl I always used to talk about....well that's her!" Low and behold he had told them about this girl at school who he liked and wanted to ask out..and that was me! 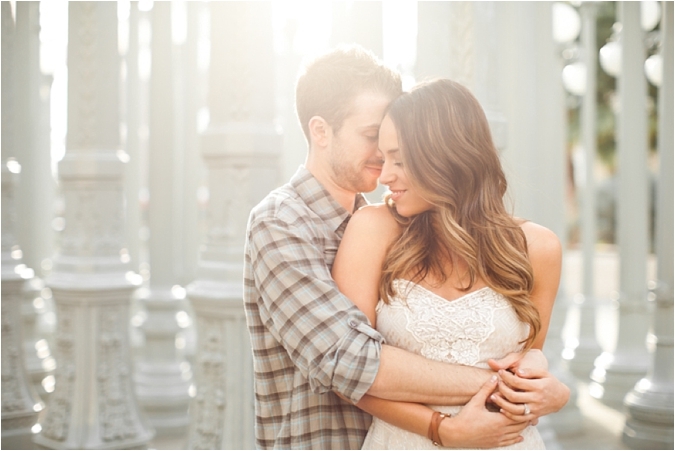 How he proposed: Adam has always been a spontaneous boyfriend, constantly finding ways to surprise me. Our proposal was no different! We both knew we wanted to get engaged, just not exactly when! 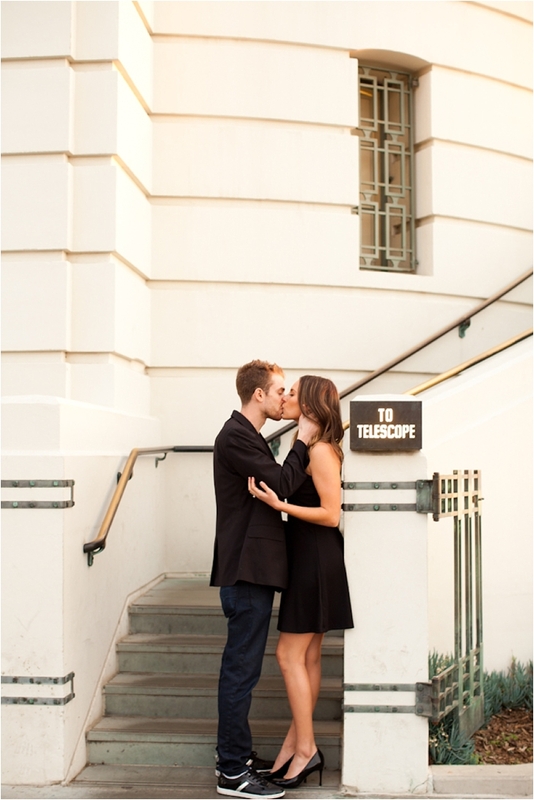 About their engagement session: As a couple, Adam and I try and do things different. We knew we wanted this in our engagement photos as well! 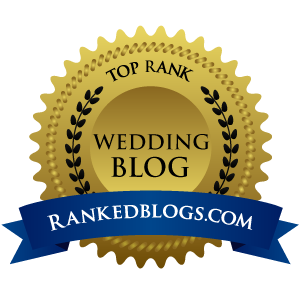 It took some time for us to settle on the location as we wanted something unique and beautiful with lots of variety. After lots of searching, we decided on the LACMA art museum in LA and the Griffith Observatory. 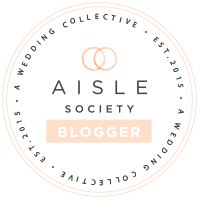 Still, regardless of where we chose, we had 100% faith in our incredibly talented friend and photographer Lindsey to create our images! The day began with us frantically trying to put together two different outfits for us to wear during the shoot. I would definitely recommend doing this a day or two before! Our house looked like a tornado went through from trying on so many different outfits before finding the perfect ones. Lindsey met at our place so we could all drive together. I showed her the save the date signs I made and asked for her opinion of our outfits. To our relief, she liked them all. While we were gathering our stuff, Lindsey noticed a wine bottle with our names and our wedding date and asked where we got it! I told her my mom had given it to us as a Christmas present and she knew it would be a perfect prop for our pictures (The wine bottle pictures are some of our favorites)! 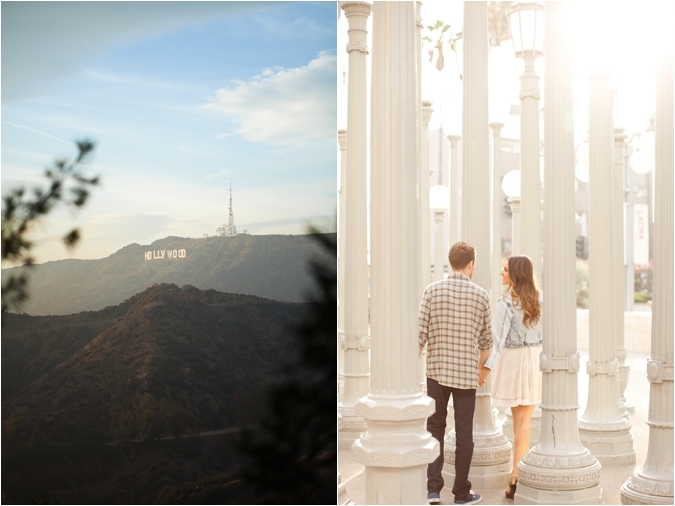 As we drove to LA, Lindsey asked about our relationship, things going on in our lives, and what to expect during our engagement shoot. This eased our nerves, and helped prepare us for the afternoon. 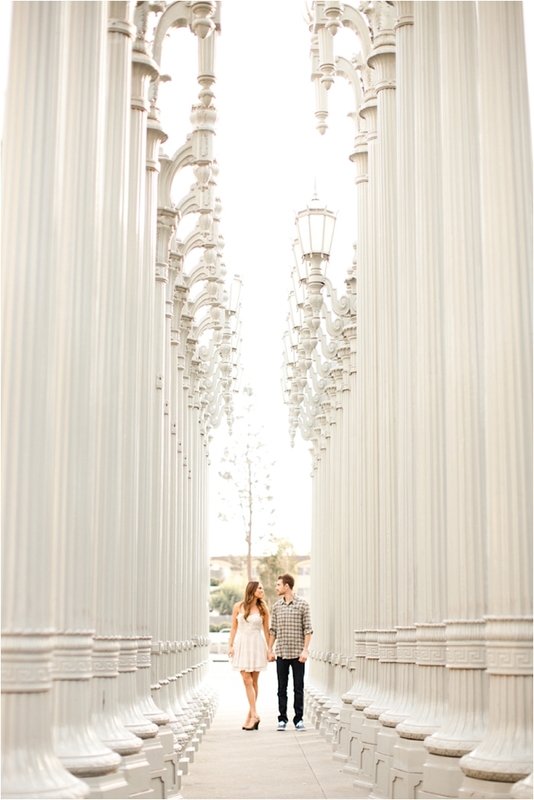 We started at LACMA with our save the date photos. This was a great way to start because they were playful which helped shake the jitters of being photographed! Lindsey had Adam whisper silly things in my ear and we immediately began to relax and have fun! We then moved to the gorgeous lamppost exhibit which was even more beautiful in person than we imagined! We took tons of pictures together and even a few solo. The solo pictures is where I saw another level of handsome in my fiancé. I always knew he was handsome, but something about the way he looked at me with the sun shining down while Lindsey took his picture just made me weak at the knees! 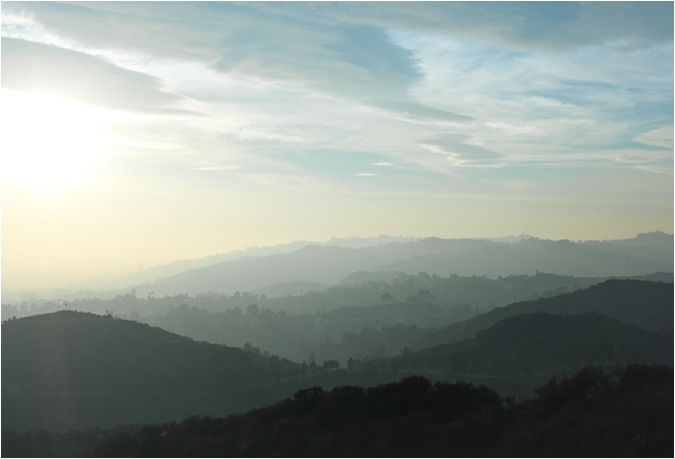 From there, we moved to the Griffith Observatory to catch the sunset! We were stuk in some traffic and began to worry we'd miss it, but luckily we were there in perfect timing! We stopped off the side of the road to take some photos in our first outfits before we changed. Lindsey found a perfect place to capture lighting and we sat in dirt and leaves, leaned on trees, but knew Lindsey had a vision! She was even so excited about the images she was capturing she began running all over to keep snapping photos, hit a curb, and almost broke her toe! It was scary, but she was more interested in us knowing how excited she was about the images she captured! 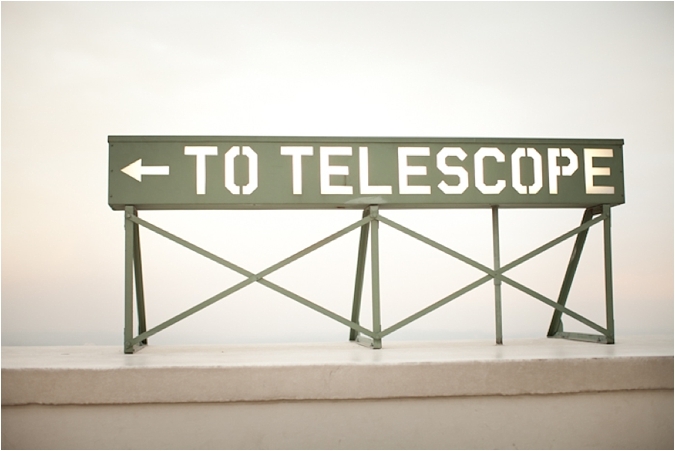 As we made our way to the top of Griffith Observatory, we stopped to change in to our second look. We made it just in time for one of the most stunning sunsets I have ever witnessed. This also drew a larger crowd, but by this time we were so giddy in love from all the hugging and kissing all afternoon, we didn't care who was watching us! 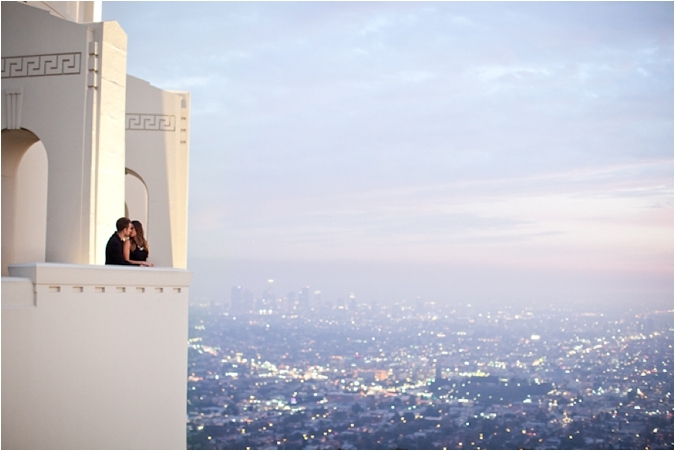 Everything about this location was romantic. 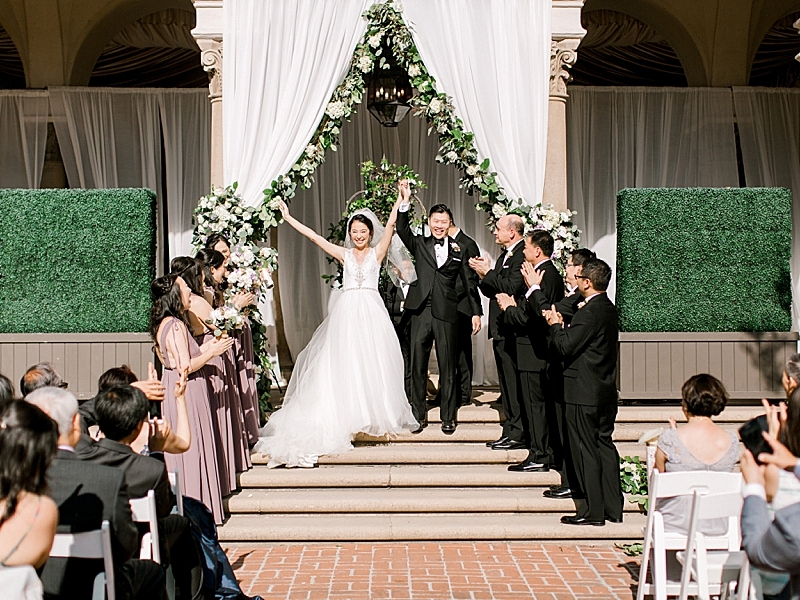 From kissing against railings to holding hands up stair cases, this was like a fairy tale. We felt like a king and queen in our castle in the sky. Lindsey captured our favorite photos here! We were speechless after seeing little previews on Lindsey's camera, and couldn't stop sharing our excitement the entire car ride home. 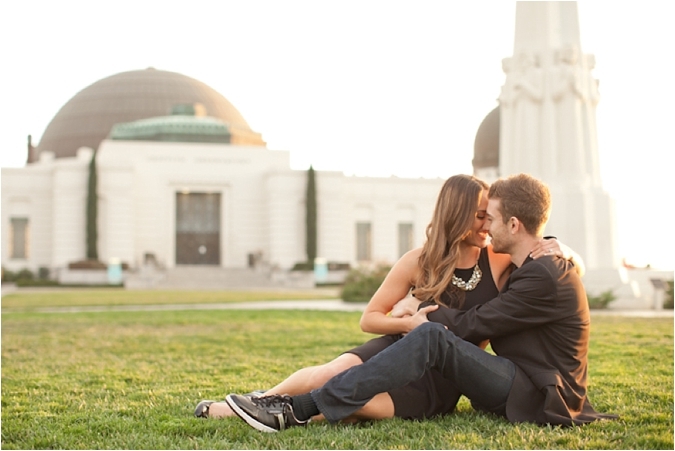 Our engagement shoot allowed us to fall even deeper in love and having these images is a constant reminder of that!